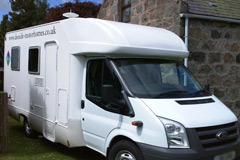 Our fleet of motorhomes are ideal for any touring holiday for couples and families alike for a real Scottish adventure. We are based in the Highlands, in the North East of Scotland, only 20 minutes from Aberdeen in Royal Deeside, where there is an abundance of sights, scenery and activities within easy travelling distance. Whether you are searching for your ancestors or you want to catch a glimpse of the Royal family hiring a motorhome and touring the Highlands and lowlands of Scotland is the way to do it. This is the best way to do the North Coast 500 and the North East 250. 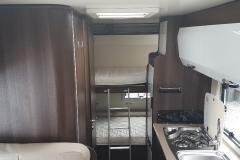 Our motor homes give you the opportunity to tour Scotland in luxury, while retaining full control of your holiday. No more getting up in the morning when someone else dictates - it is your holiday after all for your Scottish vacation.